Description: Hunting takes the Huntsman all around the world. 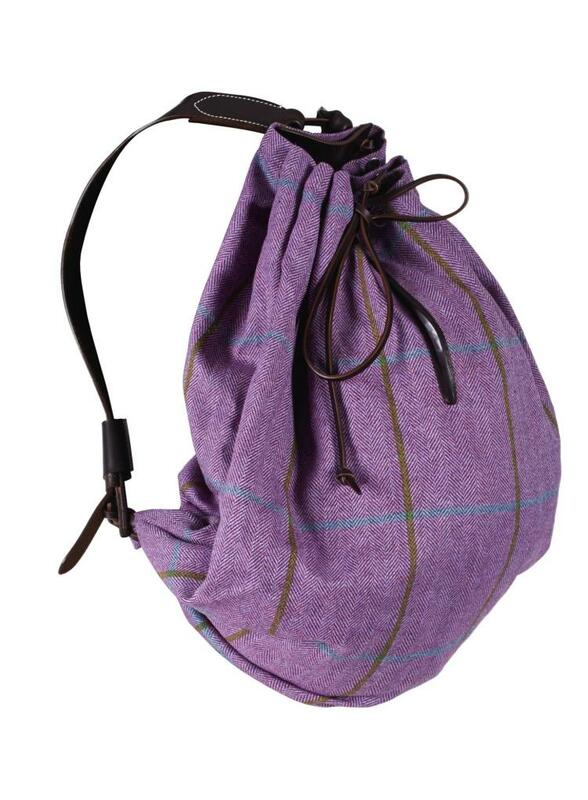 The idea for this large drawstring duffel bag was brought from the Austrian mountains, where they are used by local hunters to carry all the necessary supplies when stalking for days on end. This one has been given the bespoke Huntsman treatment: the traditional hemp being replaced with exclusive house tweed and trimmed in bridle leather. This distinctive purple tweed was originally designed for Hamish Bowles in homage to the heather flowers of the Scottish moors.